I asked Laura Cherner, the Assistant Director of the Federation’s Community Relations Council (CRC), to write about her recent experience in accompanying our community’s Campus Ambassadors from our local college campuses. We equip a cohort of students to conduct pro-Israel programming on campus and prepare them to fight the BDS (Boycott, Divestment and Sanctions) movement. This program is funded through Federation by some generous donors. Last month, 11 students from Pitt, CMU, and Duquesne spent a week in Israel on the Campus Ambassadors Mission. Done in partnership with Hillel JUC, the goal of this educational, policy-intensive mission is to expose students to all aspects of Israeli life, society, and politics so that they return to their campuses to create a more Israel-friendly environment. The truth about Israel often feels drowned out by false narratives. The Campus Ambassadors Mission is a way to educate and empower students to fill the gap of misinformation. 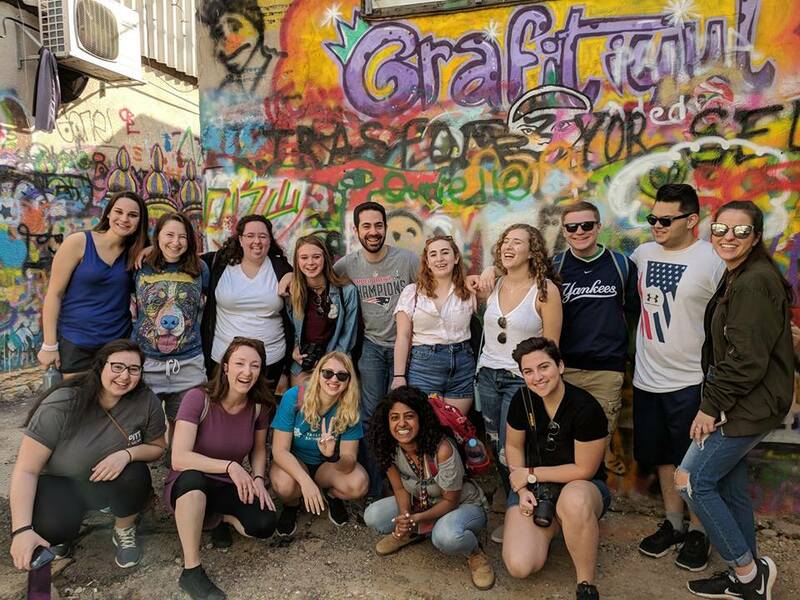 Students were given the opportunity to learn from experts in politics, military strategy, and security, as well as interact with Israelis and Palestinians across the political spectrum, who experience the conflict firsthand. Additionally, they learned about aspects of Israeli life and culture including LGBTQ+ rights, the environment, business, technology, and so many other opportunities that Israel has to offer. After the mission, students are tasked with creating a pro-Israel campus project based on their unique passions and experience. Our goal is to guide them to transform their passion into action and positive change. The Federation and Hillel JUC provide the students with a network of support to allow them to be successful. Next week, we will be celebrating the 70th anniversary of the founding of Israel. It is more important than ever to empower the next generation to engage with their peers and create a more informed culture about Israel. P.S. We hope to see you on Tuesday evening for our Yom Hazikaron commemoration and on Thursday for our Yom Haatzmaut celebration.